- A high quality wine opener with bottle opener and foil cutter. Backed with talented team of professionals, we are involved in offering best quality of Wine Opener. This Wine Opener is extensively used as a bottle opener. Further, we ensure to provide best quality products to customers at market leading prices. Our products are highly durable and known for their fine finish. We offer extensive range of wine openers that is essential tool for any bar, hotel & motels, clubs & homes. They are available in different shapes & designs to suit small & bulk parties. 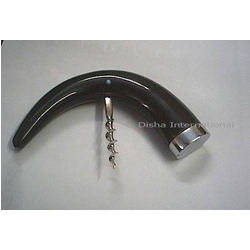 We manufacture wine openers that are made up of good quality stainless steel assuring strength and durability. 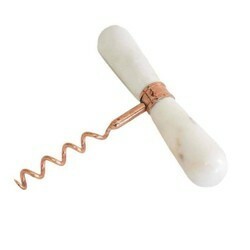 Clients can avail from us an exceptional quality of Wine Opener. Presented products are tested on numerous quality limitations to promise their quality. 3 In 1, Multi Functional, Blends The Features Of Wine Corkscrew, Bottle Cap Opener & Cutter Together.